Though the rest of the world may disagree, there still is a “pool season” in Canada. It might be short but the sound of children splashing around in a backyard pool is refrain you’ll hear throughout summer in the suburbs. An outdoor pool is a magnet for family fun but installing one is a major investment that shouldn’t be taken lightly. 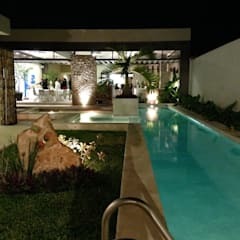 Whether you want a pool to do morning laps or a place for the kids to hang out, begin by mapping out your space and consider what shape, size and style would work best for your yard. Browse through our catalogue of photographs and magazine for ideas or contact an expert via our free consultation. 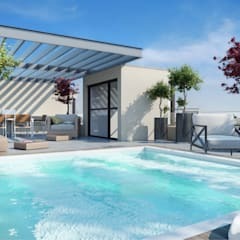 Will a swimming pool increase or decrease my home’s value? 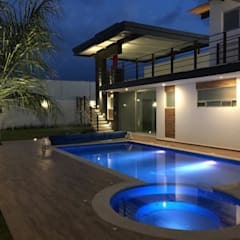 You’ve likely heard real estate agents and experts warning homeowners about the risks of having a backyard pool and how they can lower the value of a property. That isn’t all the truth. 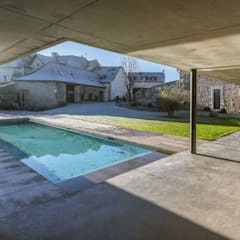 A swimming pool can be an asset or a liability. 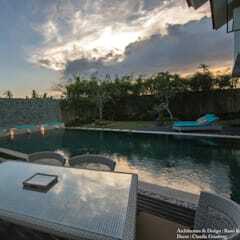 Good pools add value – on occasion, more than the actual cost to construct them. If a buyer wants a pool, they’ll pay for it. Experts estimate a pool can increase your home’s value by 7%, if everything aligns when it comes time to sell. 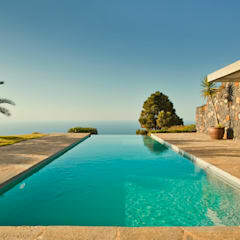 Ultimately, the style of the pool, the condition, its age and the right buyer will determine its worth. 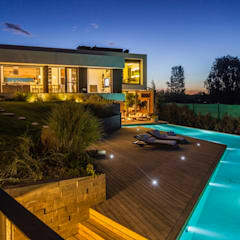 Estimates vary but a fully-equipped and installed pool with a heater, lights, salt system, solar blanket and roller, automatic cleaner and simple concrete deck will start around $25,000 and can climb to $45,000 for larger sizes. 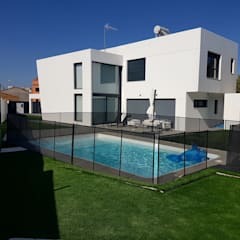 Costs depending on the size and style of pool, the number of accessories, and how easy or difficult it is to access the build-site. 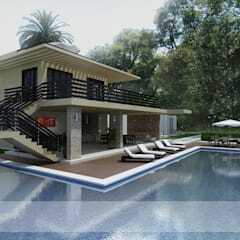 You also need to factor in landscaping costs since no one likes being pool-side to a barren backyard. Before you dig, however, contact your municipal building department to make sure you get the right permits. 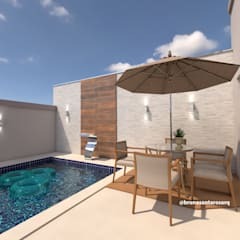 What are my swimming pool design options? There are a ton of combination in size, depth, and shape to choose from. Do you want a round tranquil pond-like pool or something rectangular? 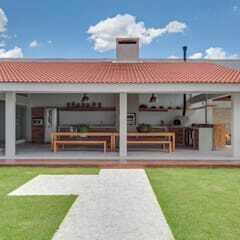 You can even go L-shaped or design it according to the contours of your yard. Will you be doing laps or just want a body of water to cool down in? Most pools slope go from a shallow, three-foot deep wading area to about 8 to 10 feet in depth. 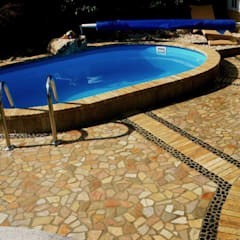 There are three basic types of in-ground pool construction materials in Canada: concrete, vinyl-lined concrete, and fibreglass. 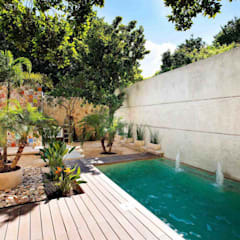 Picking the right pool for you will depend on the location, terrain and your budget. Concrete or gunite: Cement or gunite pools are most expensive to install and the least suited for cold climates. The durability of the structure and surface material in the gunite pool is good. But the rough bottom of the pool isn’t appreciated by swimmers. 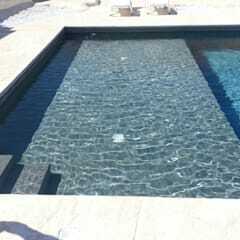 Vinyl-lined pools: Vinyl in-ground pools or polymer wall pools can be shaped to any configuration. They are less expensive than gunite but the liner often need to be replaced after 10 years. The liner is designed for strength and durability, but more importantly it is flexible and responds to environmental changes. Unlike concrete, it will not crack. 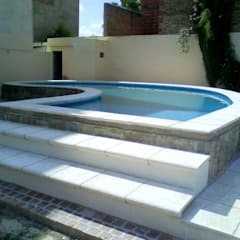 Fibreglass: Fibreglass or prefab pools are manufactured in a factory and ready to install. They have a very durable surface that doesn’t need much maintenance. Cracks and punctures can be repaired quickly. The disadvantage is they usually are limited in size and design. 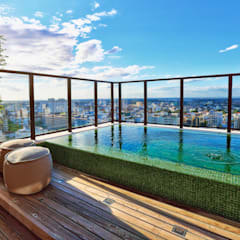 How hard is it to maintain an inground pool? 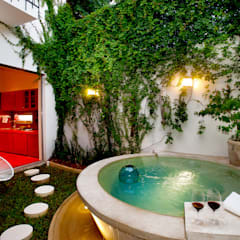 There are two basic maintenance tasks with an in-ground pool: cleaning out debris and purifying the water. Properly maintained, these structures should last 25 years. Automatic cleaners make things much easier. During pool season, you'll need to regularly test the chlorine and pH levels, and adjust them accordingly. Periodically run a pool vacuum or get an automated model to clean the floor of the pool and fish out leaves or other debris that land in the water. What add-ons and extras does my pool need? Pool season in Canada is brief, to say the least. Many homeowners install a gas or electric pool heater. 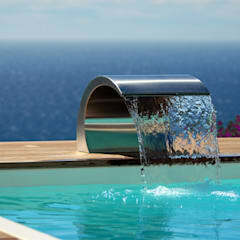 A pool cover is essential, especially if you want to be environmental friendly. 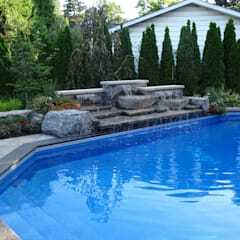 Natural Resources Canada estimates a cover can reduce pool heating costs by up to 50 percent. 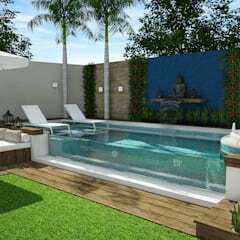 Decorating the space around your pool is just as fun a project as designing the pool itself. You could go for impact with natural stone or a waterfall. 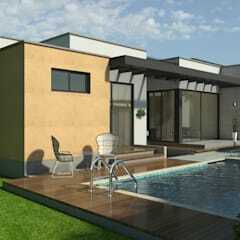 Most homeowners include a patio or deck in their design. 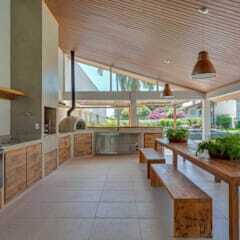 You can choose between wood, coloured concrete or flagstones. Furniture and comfortable seating is another poolside must-have. Whether it is a rattan sofa, pallet chairs or even a coffee table and outdoor dining area, the goal is to make your garden chic and attractive. When choosing furniture, consider your style choice and stick with it, be DIY and minimalist or rustic. Recessed lighting is another add-on that not only makes your pool area safe but adds drama to the space. 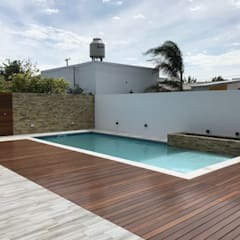 What safety features does a backyard pool need? Pools can provide many hours of summer fun, but they can also be dangerous. Municipal bylaws in most part of Canada require owners to erect a fence around a pool with a self-closing, lockable gate, if your yard isn’t entirely fenced in. The fence should be at least 1.2 meters high (check with your municipality to ensure compliance with any bylaw). The Canada Safety Council strongly recommends not installing a pool or a spa in your yard until your children are five or older. Make sure you have rescue equipment nearby, including a life preserver and a long pole for a distressed swimmer can grab onto. At the end of the pool-time activity, take all toys out of the pool. This will ensure that children are not tempted to reach in for them later and fall into the pool. And lastly, enroll your children in swimming lessons.